Historians assume that the town's name derives from the ancient Phoenician language with the meaning of "luna" (moon). Town in the province of Cagliari, located in the Southern Sardinia, in Southern Sulcis at the foot of the slopes of Mount Cùccuru, the municipal area, is located on the border with the province of Carbonia-Iglesias and includes three districts (famous is the one of Chia, an appreciated resort on the beautiful coastline, which features a sea with extraordinary colors and very clear waters. The two main centers Chia and Domus are connected by two main roads. From Punta Sebera it is possible to admire a vast panorama: between Basso Sulcis and Teulada, that aided by a day of clear skies, looks even beyond. Departing from Domus, it is possible to reach easily the nearby woods, rich of several varieties of mushrooms and local fauna, including deer and wild boar. The area was inhabited since ancient times, probably since the Age of Copper (III millennium B.C. ), while other scholars argue that some sections of coast were inhabited in even earlier times. Domus de Maria also features the remains of some Nuragic settlements. The area was conquered and colonized for a long time by the Phoenicians and by the Romans of which several remains are still present. The main centre was built in the XVIII century, founded by the Padri Scolopi. 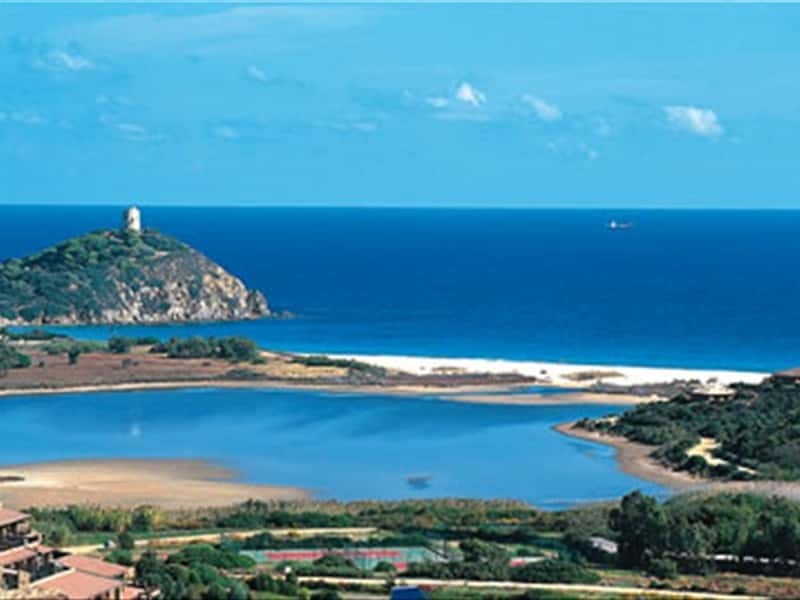 The subsequent events, that characterized the history of the town are similar to those of the others of the Cagliari area. This town web page has been visited 31,090 times.